Lightnin' Willie & The Poorboys Sunday, 21/10/2018, Orkney Islands, Stromness Town Hall, Scotland . Click here for more info. Lightnin' Willie & The Poorboys Monday, 22/10/2018, Perth Theatre, Studo Space, Scotland . Click here for more info. Lightnin' Willie & The Poorboys Tuesday, 23/10/2018, Renfrew Ferry, 25 Anderston Quay, Glasgow 01698 360085. Click here for more info. Ligntnin' Willie & The Poorboys Wednesday, 24/10/2018, Blue Lamp, 121 Gallowgate, Aberdeen AB25 1BU . Click here for more info. Lightnin' Willie & The Poorboys Thursday, 25/10/2018, Tolbooth, Stirling, Scotland . Click here for more info. Lightnin' Willie & The Poorboys Friday, 26/10/2018, Edinburgh Blues Club, Voodoo Rooms, Edinburgh 0131 5567060. Click here for more info. Lightnin' Willie & The Poorboys Saturday, 27/10/2018, Music & Arts Centre, 18-22 Rainhall Rd, Barnoldswick . Click here for more info. Lightnin' Willie & The Poorboys Wednesday, 31/10/2018, The Bellevue, High Wycombe, Bucks . Click here for more info. Lightnin' Willie & The Poorboys Friday-Sunday, 02/11/2018 - 04/11/2018, P&O, Hull to Rotterdam, Blues Cruise . Click here for more info. Lightnin' Willie & The Poorboys Sunday, 04/11/2018, The Queen Victoria, Snettisham, Norfolk . Click here for more info. Lightnin' Willie & The Poorboys Tuesday, 06/11/2018, Wrotham Arms, Ramsgate Road, Broadstairs, Kent . Click here for more info. Lightnin' Willie & The Poorboys Friday, 09/11/2018, Forest Arts Centre, Old Milton Road, New Milton, Hampshire 01425 619983. Click here for more info. Grainne Duffy, Lightnin' Willie and the Poorboys, Focus, Aynsley Lister, John Verity, Thorbjorn Risager, Wishbone Ash, Chantel McGregor, Erja Lyytinen Friday - Sunday, 09/11/2018 - 11/11/2018, Bude Blues and Rock Festival, Bude, Cornwall . Click here for more info. Lightnin' Willie & The Poorboys Thursday, 15/11/2018, Haven Club, The Bullingdon, Oxford . Click here for more info. Lightnin' Willie & The Poorboys, Kyla Brox, Paul Garner Band, Dave Arcari, The Reverand Shawn Amos Band, Eddie Martin Band, Zoe Schwarz, Catfish, Bella Collins & Jodie Marie plus acoustic artists and workshops Friday - Sunday, 16/11/2018 - 18/11/2018, Tenby Blues Festival, Various venues around the town, South Wales . Click here for more info. Lightnin' Willie & The Poorboys Saturday, 17/11/2018, Devizes, Blues Club, More info to follow . Click here for more info. Lightnin' Wille & The Poorboys Saturday, 01/06/2019, Flying Circus, Newark upon Trent, Notts . Lightnin' Willie & The Poorboys Tuesday, 04/06/2019, Tuesday Night Music Club, The Comrades Club, 194 Brighton Rd, Coulsdon, Greater London CR5 2NF . Click here for more info. 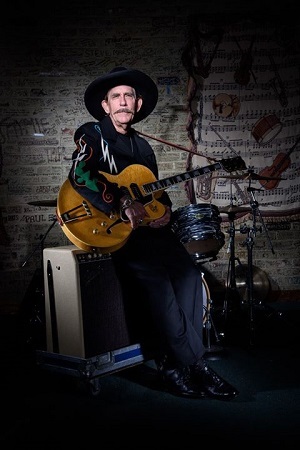 Lightnin' Willie & The Poorboys Friday, 07/06/2019, Woodstock Social Club, Woodstock, Oxon . Click here for more info. Lightnin' Willie & The Poorboys Wednesday, 12/06/2019, Old Town Hall, High St, Hemel Hempstead 01442 228091. Click here for more info. Lightnin' Willie & The Poorboys Thursday, 13/06/2019, The Murderers, Norwich, Norfolk . Click here for more info. Ligthnin' Willie & The Poorboys Sunday, 16/06/2019, Blues on the Farm Festival, Bekesburne, Kent . Click here for more info. Movinmusic is pleased to confirm that it is now working on Lightnin' Willie & the Poorboys dates during late October and in to mid November 2018 and in mid to late January 2019. Interested festivals and venue owners/promoters can contact us about his availability via e-mail or 0044 (0)1209 860067.